For us, a family holiday means a time spent together, valuable animation programs, loads of experiences for the whole family as well as some little joys to be found everywhere in the hotel. Children will be able to enjoy fun since the very morning. And we suspect that they will enjoy it so much that you have to persuade them to go back home with you. From the morning warm-up with the Little Mammoth to the quiet short sleep in the childrenʼs library where children are told fairy tales, the day is filled up with a programme ensuring that children are entertained, educated, forming and learning something, doing sport and fully absorb everything Dolní Morava offers them. We will take care of small and as well as older children almost anytime. Whether you want enjoy some relax in your leisure time, or you want to do sport or work, we are ready to look after your children. The first destination after arrival will surely be the “Ha ha” playroom. The children will have a chance to let off their steam in the swirling corridors of the playing labyrinth with a water slide and will be able to discover every corner of the playroom filled with fun and games.
. For children up to 3 years of age, we seasonally open the Baby World for the smallest ones where the youngest visitors of the mountains will find a small quiet place to play. 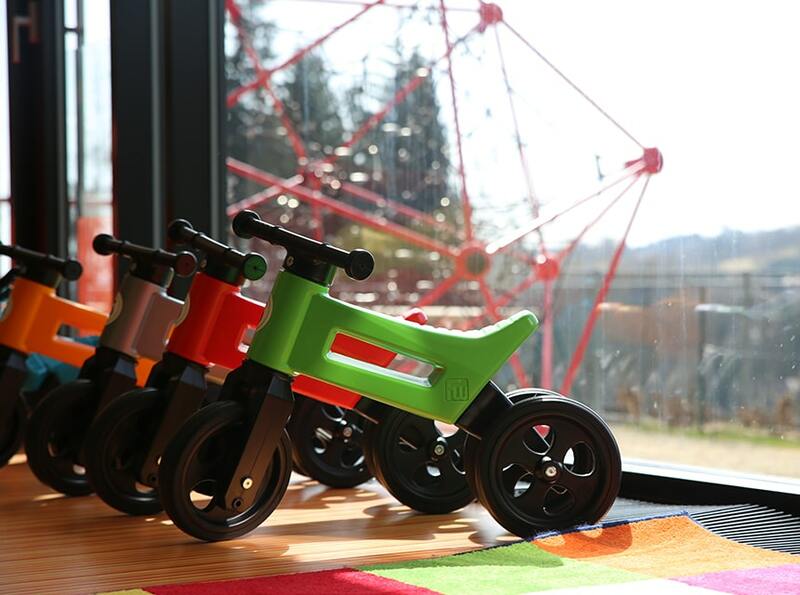 When the play room becomes too small for them, they can just walk a short distance to the outdoor playground where they can get pleasantly tired at fresh mountain air. Discover our wellness and sauna world together with your children. The smallest ones can let off some steam in the paddling pool with a red elephant with a water slide. The bigger ones can do so when playing in the pool or the whirlpool. The sauna world is open to families with children every day from 9 a.m. to 3 p.m. when the sauna is heated to a lower temperature. 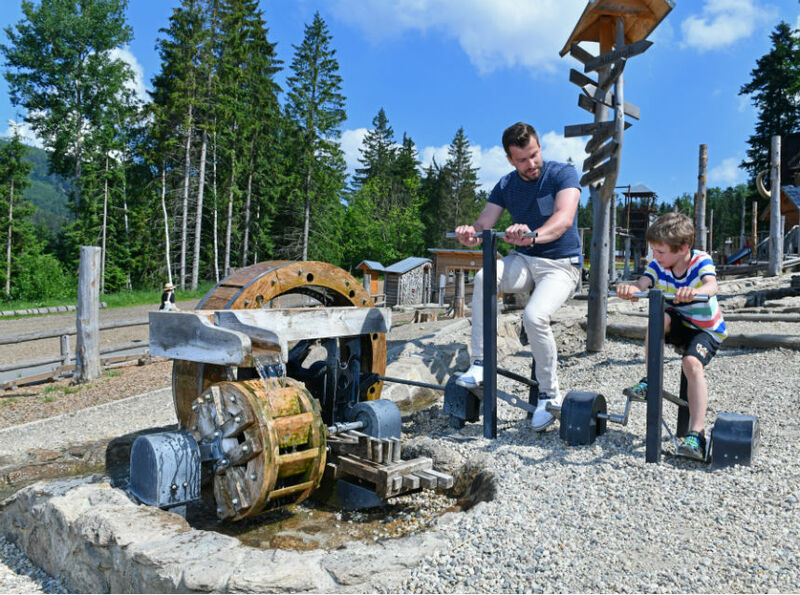 In addition to the sauna, children can enjoy an experience shower, Kneippʼs walkway or run out onto an outdoor terrace and cool off with mountain air. And when you hit the right season, kids have a special sauna ritual, water polo or a yoga lesson prepared especially for them. 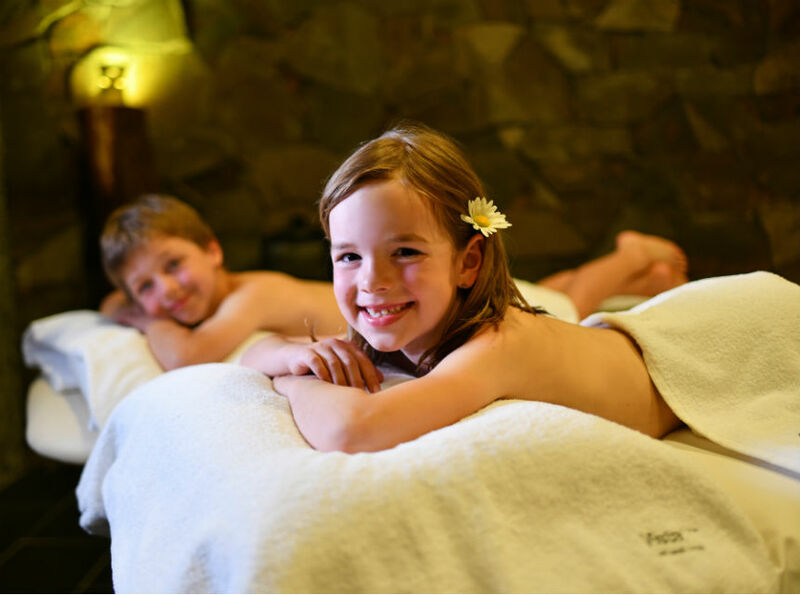 Wellness procedures designed specifically for your children will be a pleasant memory of our stay. Children can choose an aroma massage with their own chosen scent or baby bubble dream with oil massage. Moms with their little girls can go for a scented chocolate massage with a wrap, a luxurious manicure and a pedicure, or dive together into a soothing thyme bath. 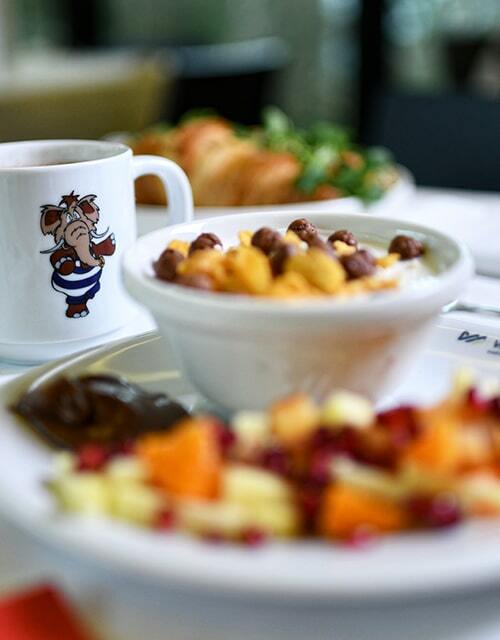 Your children will love our breakfast corner for small champions. It is tempting, playful and full of yummy things. Whether your little ones think of their favorite semolina of cocoa or hot chocolate pancakes, they will not hesitate to eat a full breakfast in the company of out Little Mammoth. In addition, during their breakfast, children are looked after by the animator who makes their time in the restaurant more enjoyable by playing in the childrenʼs corner while you dreamingly observe the awakening mountain greenery. Even for the dinner we think of our little guests and prepare for them culinary pieces that fit their refined tongues. A sweet remuneration after a day spent in the mountain air may have a form of a cotton candy, soaking the fruit in a chocolate fountain or a scoop of ice cream. Your little ones will be well cared for in the baby corner which is also open during dinner under the command of our animator. He distracts your children during the dinner once more, and then, together with the Little Mammoth, makes them asleep listening to a fairy tale. As soon as you manage taking a look out of the hotelʼs windows, your children will be out of your sight. The giant mammoth will be the first target of small curious children. The 24-meter toboggan inside the mammothʼs trunk will take them gently into the Little Mammothʼs Water and Forest Experience Park and the Sand World. Then theyʼll be enjoying the tubing track, or will they can tease our guinea-pigs. And when they open their eyes the next morning, a smile will glimpse across their faces when they realize they can set off for the whole adventure expedition all over again. Use your winter holidays to better your small skiersʼ skiing style. Our nice instructors will make learning a great fun. You can choose between individual lessons or group lessons. 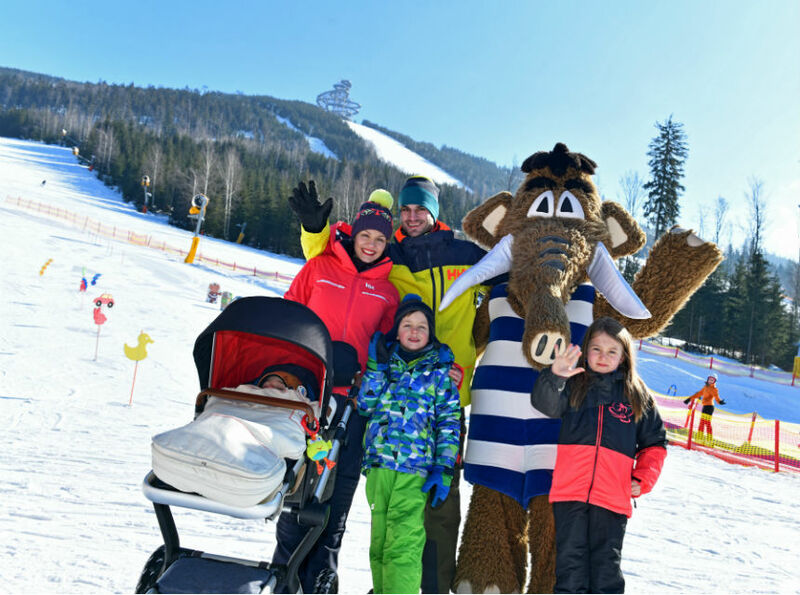 Additionally, you can grab the skills in the well-designed Amálka Childrenʼs Ski Area. All equipment is also available for rent in our rentals, from the helmet to the ski poles. 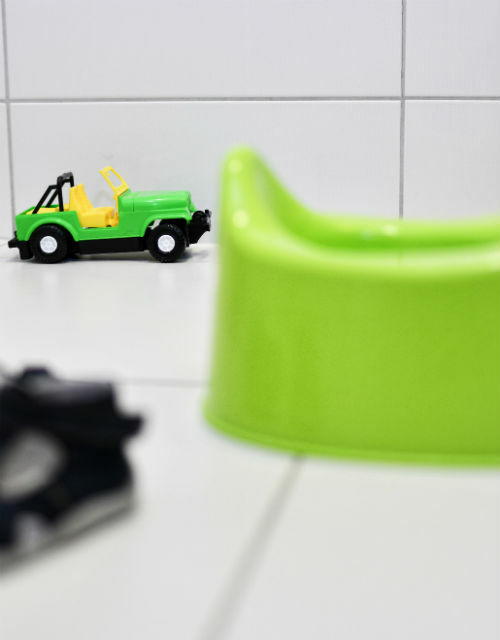 We care after our small visitorsʼ needs on every step starting with chairs making washbasins available to them to childrenʼs bookshelves equipped with comfortable pillows. Children will be happy from the moment they arrive, getting a little surprise at their arrival and by childrenʼs-size dressing gowns in their room. 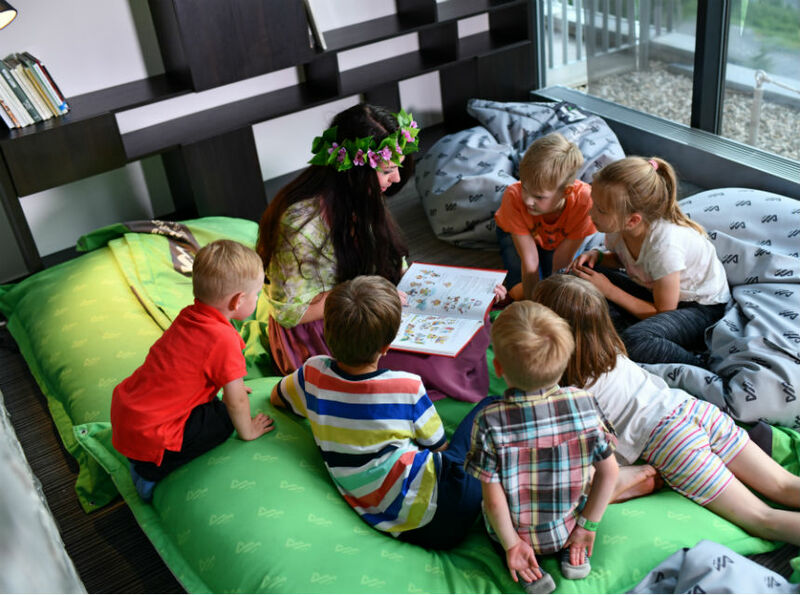 We will make the life of their parents easier by offering them with the childrenʼs room and baby points on each floor of the hotel. In addition, you can rent baby monitors, golf strollers, carriers, baby carts for bicycles, as well as a complete bicycle or ski equipment for your children and yourself. Your children will love Vista.